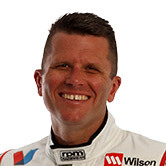 Garth Tander believes upgrades introduced by Garry Rogers Motorsport in Newcastle open up a 'raft of set-up options' entering 2019. Tander's Saturday at the season finale was hampered by damage, but the 2007 champion followed that by making Sunday's ARMOR All Top 10 Shootout and starting a season-best fourth. While overshooting Turn 1 during the second stint dropped Tander from seventh on the road to 15th, he got back to finish eighth. 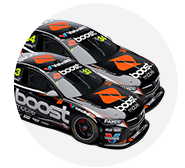 It left Tander 13th in the 2018 standings after an "up-and-down" year, but believing the Holden team could take plenty of positives into the off-season. "We ran some different specification stuff on my car over the course of Newcastle, and that was clearly with a view to next year," he told Supercars.com. "While the weekend didn't start great for us, the way the car improved over the weekend, particularly into Sunday was very encouraging and it feels like it's opened up a raft of set-up options for us that we probably didn't have before. "That's encouraging, but the proof's got to be in the pudding, as far as results go next year. "In reality, we've had a package that is balanced enough front-to-rear grip, but there's just not enough grip overall. "For us, it was very much a holistic change to the whole car to try and generate more grip. "At the end of the day, it doesn't matter if you're DJR Team Penske, Triple Eight or GRM, that's what you're trying to do every day of the week. "I think we achieved that and also I think it opens up a raft of set-up options that we can go in that we clearly didn't have time to explore in Newcastle, which we'll do in the fullness of time when we're running the car. "It's not a magic bullet, because we said all along and everyone will say there's no magic bullets, but it's probably opened up the potential for more one-percenters along the way." 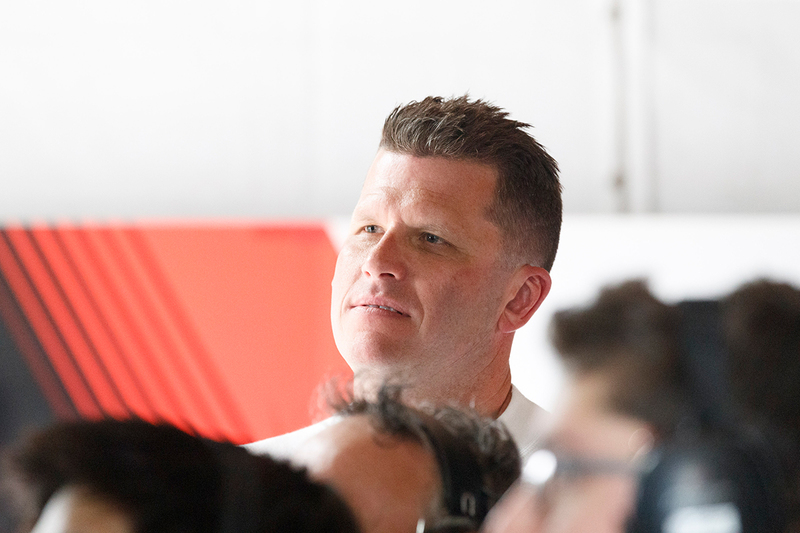 Tander indicated there was a fresh push by GRM to have the upgrade ready for Newcastle, even with "compromises packaging-wise", after a lacklustre weekend at Pukekohe where he qualified 23rd each day. 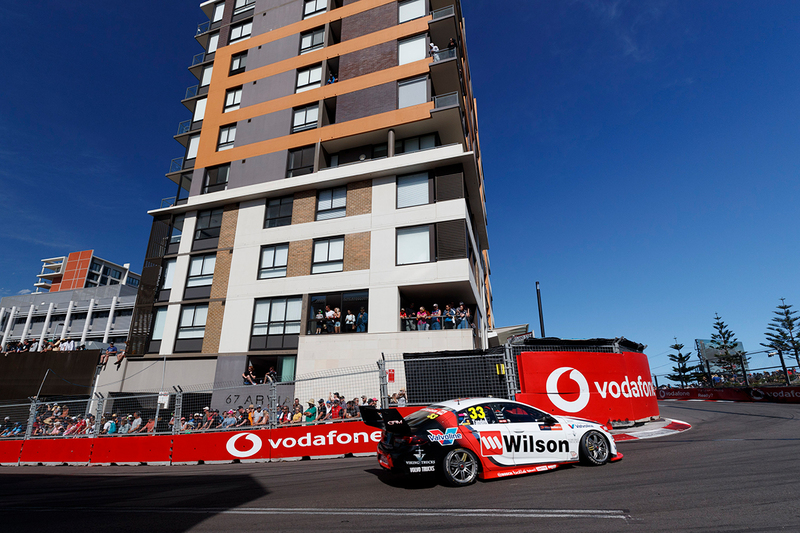 GRM was also keen to evaluate the change before the break, with an eye towards another street circuit – Adelaide –opening the 2019 campaign in March. A rookie day for James Golding at Winton on Tuesday allowed to team a further chance to continue its development ahead of the new year. "We probably fast-tracked it after New Zealand, in reality," Tander added. "The guys did a lot of work to get what we needed to in the car for Newcastle. "It's very hard to replicate street circuits in testing, and given we start in Adelaide, it's important to try to get it in the car so we understand what those changes to the package did for street circuits. "But also, it's so the team could have a bit of a play with the car and understand the changes that it made over that weekend, so we've got the whole Christmas break now. "If we waited until the test in February and you've got all of these hopes and dreams but you don't really know what you've got. "It's only the start, and we had some encouraging results, it's not the be all and end all just yet. I think it was an encouraging thing to do."